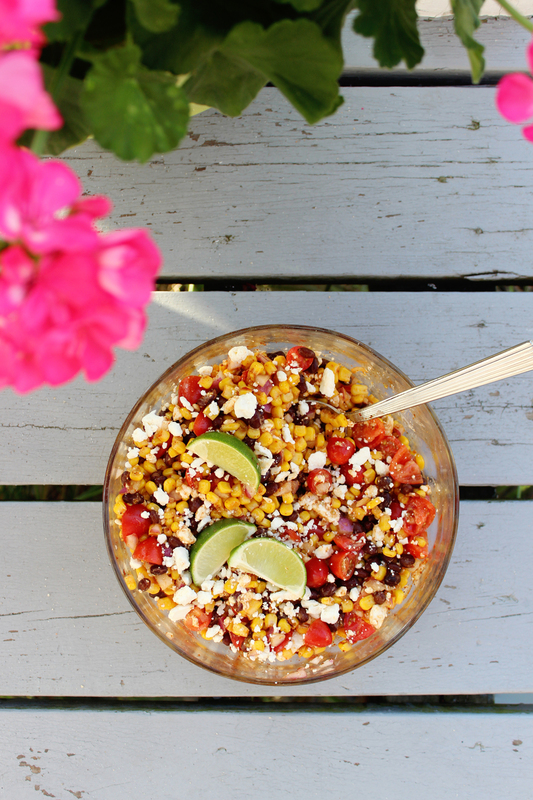 Sooo it’s Monday, and while that may not be so fun, at least this corn salad is! Last weekend while at our friend’s beach house for a little get away, we found ourselves craving something with a little more substance that our typical lazy (yet wonderful) burgers & dogs. Our new best friend Emily (she’ll be thrilled to know that she’s getting a shout-out here) is obsessed with it, and I hope you are too! 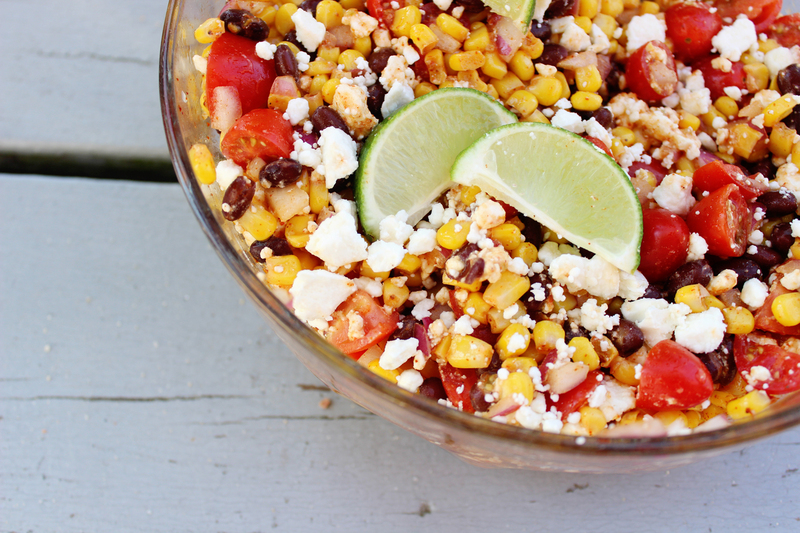 It’s seriously so simple to make, and a great way to add a little color and flavor as a side dish. 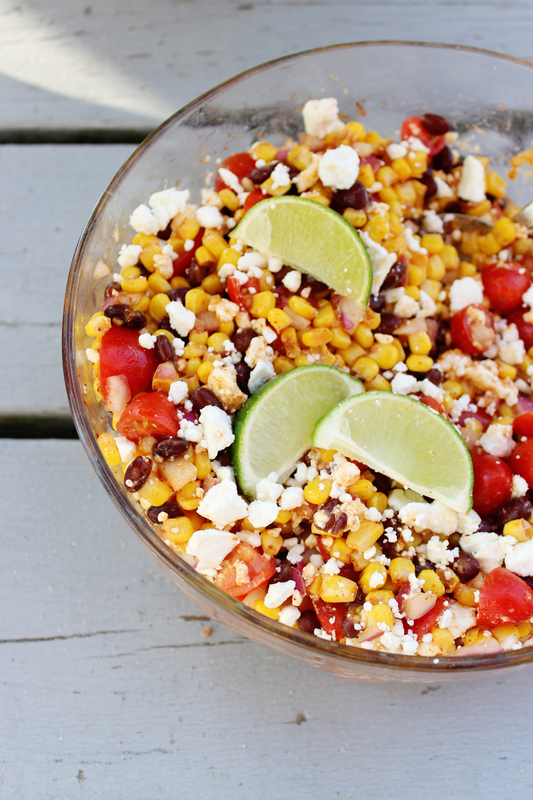 Allow frozen corn to thaw in a bowl a couple of hours before you intend to serve. Once thawed but still chilled, mix it up with the other ingredients. Let chill in the fridge prior to serving. Place corn in a lightly oiled skillet, allow to fully heat before tossing in the rest of the ingredients. Allow to slightly cook (you want your onion to still have a little crunch, and your black beans to not turn into mush). Serve straight away. To turn this appetizer into a heartier meal (perfect for a bring-to-work-lunch), I added a bit more protein. You can mix it up with some sliced up chicken sausage, chorizo, shredded chicken, ground beef or turkey, or for all of you vegetarians out there — any soy/veggie version of your favorite dog or patty. 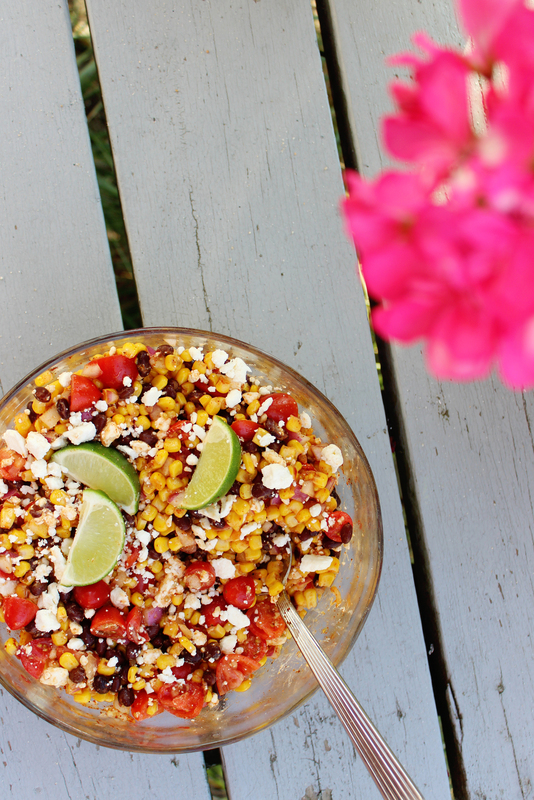 This entry was posted in Food and tagged Corn Salad, Summer Corn Salad, summer salad by Gardenias & Mint. Bookmark the permalink. my sister would totally go nuts over this bowl. she loves corn!